As the financial editor for N’Digo – A Magapaper for the Urbane, Matthew Sapaula is also a blogger for Chicago Now as of December 2009. Chicago Now is owned and operated by the Chicago Tribune Media Group and is the online town square for Chicago. You will find this as the place for the city’s best blogs and using the top social-media tools available, the site provides a place for Chicagoans to connect and share their opinions and expertise. 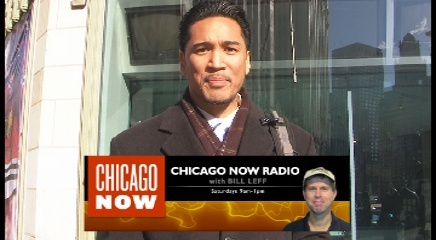 Click the link to visit the N’Digo -Money Smart Guy -Matthew Sapaula’s blog on Chicago Now. The Money Smart Radio community is proud to be part of this family of Chicago bloggers. Never more has there been a time for the needed financial education, literacy and planning to get back on track towards economic progress . We welcome your feedback and suggestions for topics via your blog comments on our posts, as our blog is only as good as the interaction our readers. Yes, that’s YOU! If you would like to email us with your ideas instead, send it to [email protected]. Our blog here will contain even more podcasts, videos and rebroadcasts from our Chicago-based financial talk show, “Money Smart Radio with your Money Smart Guy – Matthew Sapaula”. Visit here for Matthew’s appearance on WGN’s Chicago Now Radio Show that airs every Saturday from 9am-Noon as he shares money smart tips to build wealth again in 2010. Would you like to spread the word? We encourage you to share your favorite posts and blogs with friends via email, sites like Twitter and Facebook, and your own blog if you have one. We love to reward our fans with free gifts, books from our guest financial experts and including YOU during a segment of our show! Money Smart Radio – Listen Now!